1. 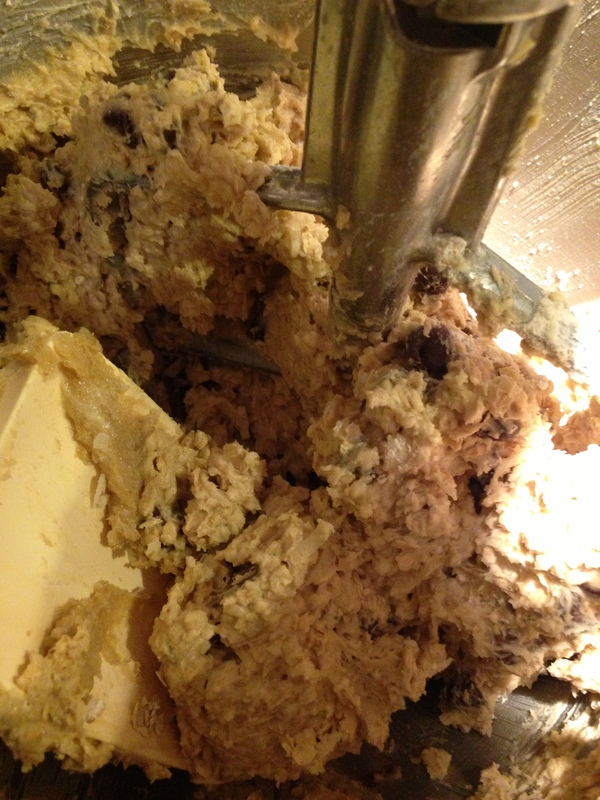 Mix butter and brown sugar until thoroughly blended. Add eggs and vanilla, beat well. 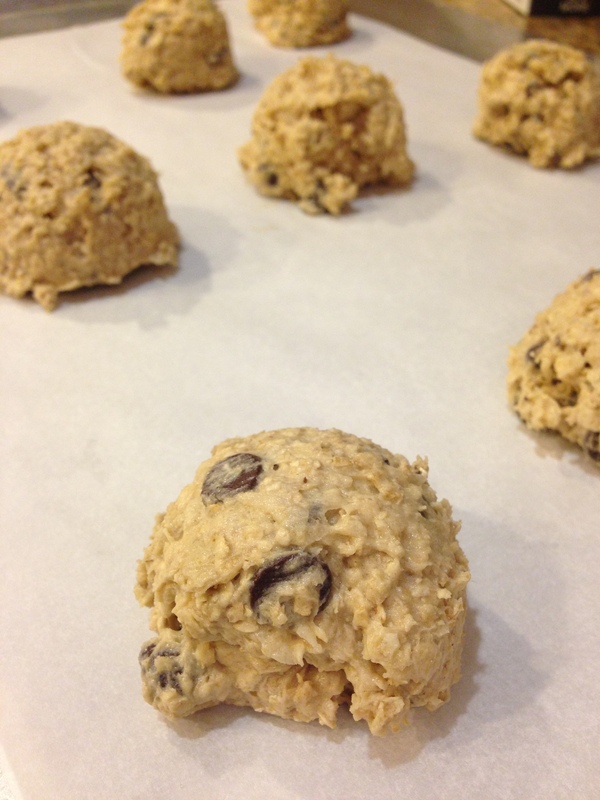 In another bowl, combine oats, flour, salt, and baking powder. Blend oat mixture with butter mixture. 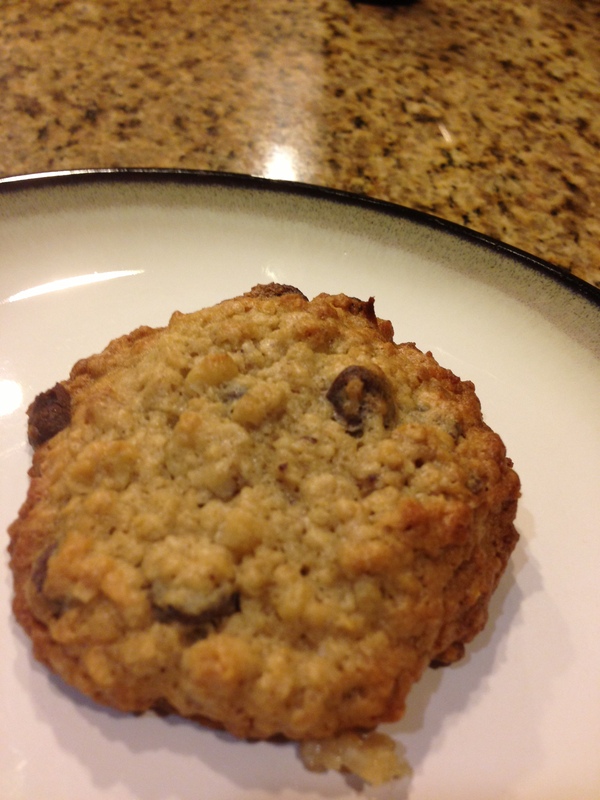 Stir in chocolate chips and coconut. 2. 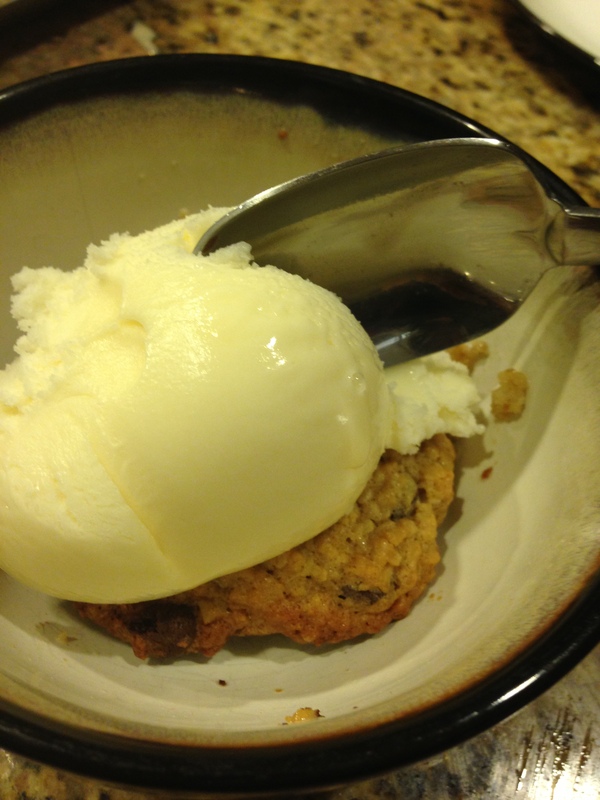 Place scoops of dough (using an ice cream scoop works best, that’s where we get our good muffin-like size) 3 inches apart on cookie sheet. Back at 350 degrees until mookie edges are golden brown, about 20 minutes. Cool on rack and serve!